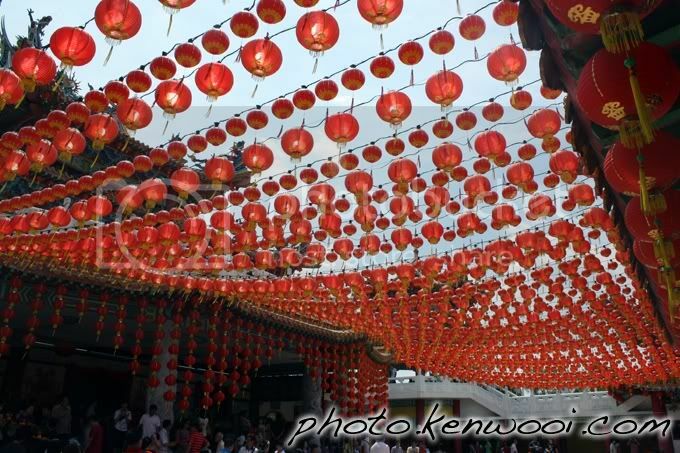 Rows of red lanterns beautifully decorated at one of the top temples in Kuala Lumpur, the Thean Hou Temple. More details at Chinese New Year at Thean Hou Temple on kenwooi.com. what about mid-autumn? anything special there? nice shot,it have been many years since i last went there.